This week, country music's legendary duo the Bellamy Brothers boarded a plane for Europe to kickoff the second leg of their 40th Anniversary Tour. While overseas, David and Howard Bellamy will perform several concert dates in Norway and Switzerland before returning to the United States to play more than 20 additional shows before the year's end (see schedule below for a complete listing of all upcoming tour dates). "This has been an incredible year," says David Bellamy. "Our tour schedule has been one of the most extensive in years and the offers keep coming in. With four international tours and more than 100 dates in the US, we've yet to have an 'off' weekend." Howard Bellamy adds, "Performing on stage is all we know... hell we've been doing it for 40 years. As long as folks keep wanting to hear our music we'll stay on the road and will continue to put out new music. Our universal fanbase continues to thrive and grow so here's to 40 more years!" This year marks four decades in the music business for the Bellamys, one of country music's most successful duos. 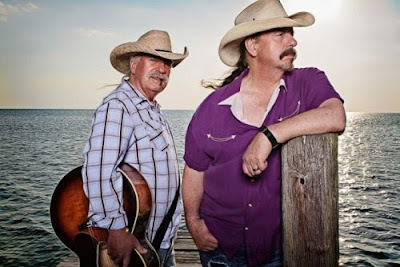 To celebrate their career milestone, the brothers recently released Bellamy Brothers: 40 Years, a 2-disc set containing 20 re-recorded versions of some of their classic hits as well as 20 all-new songs. The brothers have also teamed with Susan G. Komen® to "let their love flow" for people facing breast cancer, with a new music video and campaign to benefit Komen. Now through December 31, 2016 they will donate $1 of every U.S. iTunes download of their new 40 Years album to Susan G. Komen to help fund breast cancer research, education and community outreach programs. Download the album HERE.